Once you have run test cases and generated test results, you can export results and generate reports. Test case results appear in the Results and Artifacts pane. Test results are saved separately from the test file. To save results, select the result in the Results and Artifacts pane, and click Export on the toolstrip. Select complete result sets to export to a MATLAB® data export file (.mldatx). Select criteria comparisons or simulation output to export signal data to the base workspace or to a MAT-file. 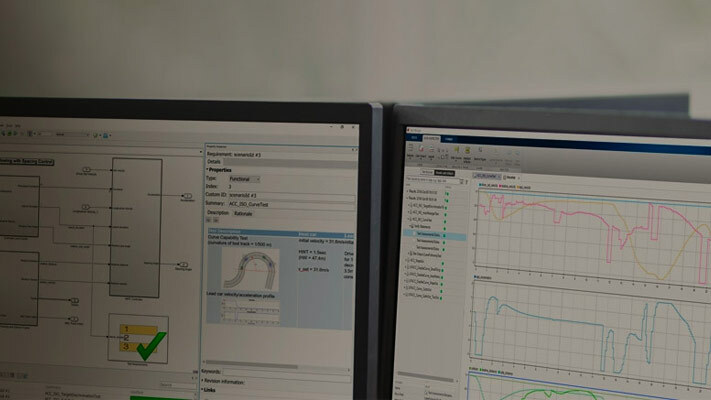 Result reports contain report overview information, the test environment, results summaries with test outcomes, comparison criteria plots, and simulation output plots. You can customize the information included in the report, and you can save the report in three different file formats: ZIP (HTML), DOCX, and PDF. In the Results and Artifacts pane, select results for a test file, test suite, or test case. You can create a report from multiple result sets, but you cannot create a report from multiple test files, test suites, or test cases within results sets. From the toolstrip, click Report. Select the options to specify report contents. Set File Format to the output format you want. You can generate a report every time you run a test case in a test file, using the same report settings each time. To generate a report each time you run the test, set options under Test File Options. These settings are saved with the test file. In the Test Browser pane, select the test file whose report options you want to set. Under Test File Options, select Generate report after execution. The section expands, displaying the same report options you can set using the dialog box. Set the options. To include figures generated by callbacks or custom criteria, select MATLAB figures. For more information, see Create, Store, and Open MATLAB Figures. Store the settings with your test file. Save the test file. If you want to generate a report using these settings, select the test file and run the test. If you have a MATLAB Report Generator™ license, you can create reports from a Microsoft® Word template. The report can be a Microsoft Word or PDF document. The report generator in Simulink® Test™ fills information into rich text content controls in your Microsoft Word template document. 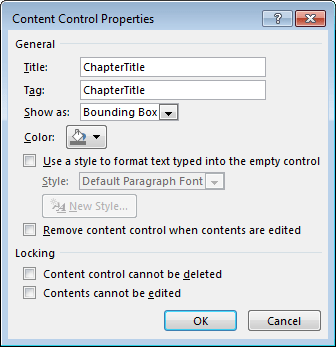 For more information on how to use rich text content controls or customize part templates, see the MATLAB Report Generator documentation, such as Add Holes in a Microsoft Word Template (MATLAB Report Generator). In the examples folder, open the file Template.dotx. To change the control name, right-click the rich text content control and select Properties. Specify the control name, ChapterTitle or other name, in the Title and Tag field. In the Test Manager, select the Results and Artifacts pane. Select results for a test file, test suite, or test case in the Results and Artifacts pane. Select DOCX or PDF for the File Format. Specify the full path and file name of your Microsoft Word template. Select ZIP or PDF for the File Format. Selecting ZIP generates an HTML report. Specify the full path and file name of your template. For PDF, use a PDFTX file. For HTML, use an HTMTX file. For more information on creating templates, see Templates (MATLAB Report Generator).